The Local Initiatives Support Corporation (LISC) is a national non-profit corporation with the mission to assist community development corporations (CDCs) and other community organizations in rebuilding distressed neighborhoods. LISC was created by the Ford Foundation in 1979 as a vehicle to bring quality financial and technical assistance to inner city neighborhood development. Today, LISC is the nation’s largest non-profit community development financial intermediary investing $9 billion with CDCs in 30 sites across the country. The Local Initiatives Support Corporation (LISC) has been active in Connecticut since 1984. Through its Hartford and Connecticut Statewide programs, LISC has invested over $38 million of local funds in community projects, brought $179 million of investment from National LISC and affiliates, and supported over $449 million of community development activity in Connecticut communities. This investment has created 3,053 affordable homes, 332,166 square feet of commercial space, and numerous community facilities, including 16 child care centers and community centers. 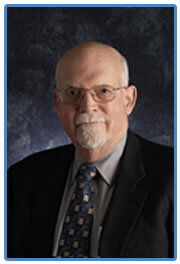 Michael Tierney, Executive Vice President and Chief Operating OfficerTierney has been with LISC since 1989. He began as the director of LISCís local program in Philadelphia and then moved to the program in Washington, D.C. After serving as a regional program vice president, overseeing local LISC programs throughout the northeast, and as the senior vice president for field operations, he was promoted to executive vice president and COO. He now oversees local LISC programs across the country and a number of national LISC housing production and capacity-building initiatives. He also chairs LISCís internal credit committee and provides oversight to LISCís lending activities. Tierney previously served as deputy assistant secretary for neighborhoods and then assistant secretary for municipal government at the Massachusetts Executive Office of Communities and Development. He also served as founding executive director of the Worcester Cooperation Council, Inc., in Worcester, Mass., a nonprofit community development corporation that developed and rehabilitated more than 2,000 homes and provided financing or technical assistance to 900 local small businesses during his 10-year tenure. Tierney received his bachelorís degree from the College of Wooster and a Master's Degree from Yale Divinity School. Andrea Pereira is the Senior Program Director for the Hartford and Connecticut Statewide programs of the Local Initiatives Support Corporation (LISC). She has an MS in Urban Planning from Columbia University and a BA in Urban Studies from Trinity College. She has twenty-five years of experience in urban and community development. 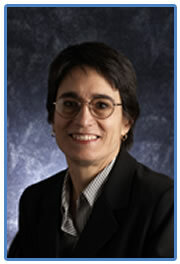 Ms. Pereira has also worked at the state, community and municipal levels in urban and community development. She specializes in: community development finance, economic development, management and public policy. In his 30 years of practice, Rick Redniss has built a reputation for creating land use strategies that achieve solutions to current challenges of land use through sensitive master planning, innovative zoning, and facilitating the Land Use Entitlement process to meet community needs through good planning and zoning. 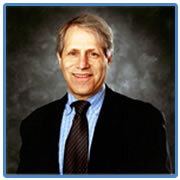 He has successfully introduced Zoning Regulations specific to affordable housing, clustering, historic preservation, infill development, mixed land uses, multi-family, parking reduction, shared parking, preservation of open space, public amenity bonuses, senior living, temporary community based uses, transit-related developments and various special use zoning amendments. His decades of experience meeting the diverse residential demands of our region have encompassed the gamut from multi-million dollar mansions to the homeless. New multi-family and affordable housing initiatives and inclusionary Zoning initiatives for various municipalities have facilitated the creation of thousands of units of rental and homeownership opportunities in Fairfield County. He was a member of Mayor Dannel Malloy’s Taskforce on Affordable Housing and the Governor’s Blue Ribbon Commission on Affordable Housing. Mr. Redniss has lectured in the tri-state area on the dynamics of creative zoning, affordable housing and positive approaches to the land use process. Sponsors have included the State of Connecticut Department of Housing, Fairfield 2000 Homes Corporation, the Westchester Housing Fund, The Connecticut Home Builders Association, University of Bridgeport, University of Connecticut, and Pace University School of Law. His efforts have led to citations and awards from The Connecticut Chapter of the American Planning Association, State of Connecticut General Assembly, Home Builders Association of Connecticut and others.